They come in all shapes and sizes, tall ones, round ones and very small ones. 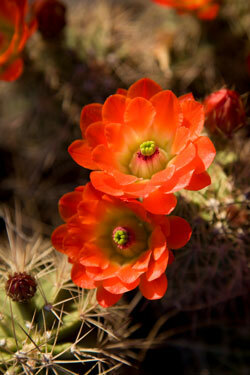 Follow the links above to find out more about some of the many different kinds of cacti. The plant shown above is an Echinocereus growing in the wild. We have some pictures of cacti in cultivation in Cactus flowers and a Spiney gallery. And a little bit about Where cacti live in the wild. And finally cacti are different to all other plants. 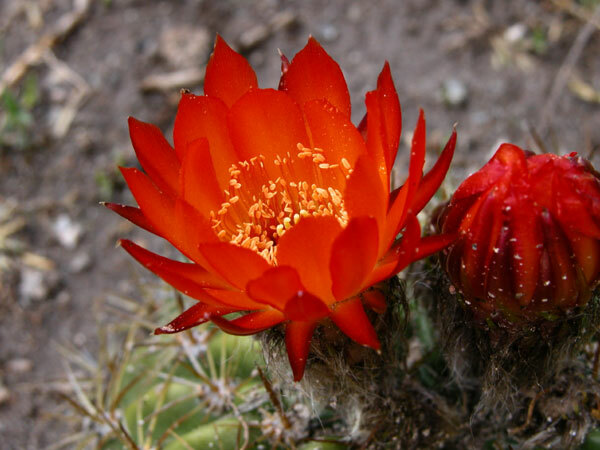 Find out What makes cacti special.